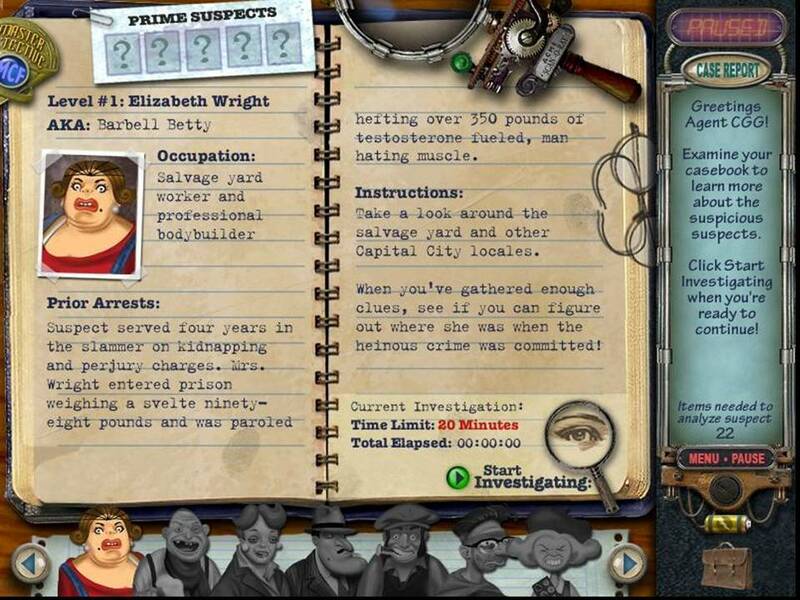 The Mystery Case Files review marathon marches on, this time with Mystery Case Files: Prime Suspects. Through Hidden Object Areas and mini-games, alibi a long list of suspects until you catch the culprit who nabbed the queen’s hope diamond. Join us as we continue to celebrate the Mystery Case Files Franchise in anticipation of the upcoming new release. Here’s a guilty secret for you. I’m a Law and Order junkie. I watch it constantly. Well, watch is an overstatement. Now, that I’ve seen every episode of L&O, Criminal Intent, and Special Victims Unit, I don’t watch so much as I keep it on in the background of whatever I happen to be doing, usually on the weekends. When I hear the dulcet tones of the announcer, "In the criminal justice system, the people are represented by two separate, yet equally important, groups. The police who investigate crime and the district attorneys who prosecute the offenders. These are their stories." The speech ends with that comforting "doink-doink" and a sense of peace settles over me. Lennie Briscoe and Ed Green will nab 'em and Jack McCoy will put them away. I felt a little like my beloved Lennie while playing Mystery Case Files: Prime Suspects. Lennie used to follow leads, and sometimes the person who looked guiltiest had an alibi that allowed him to fly the coop. Then, Lennie turned to the next shady character in line. 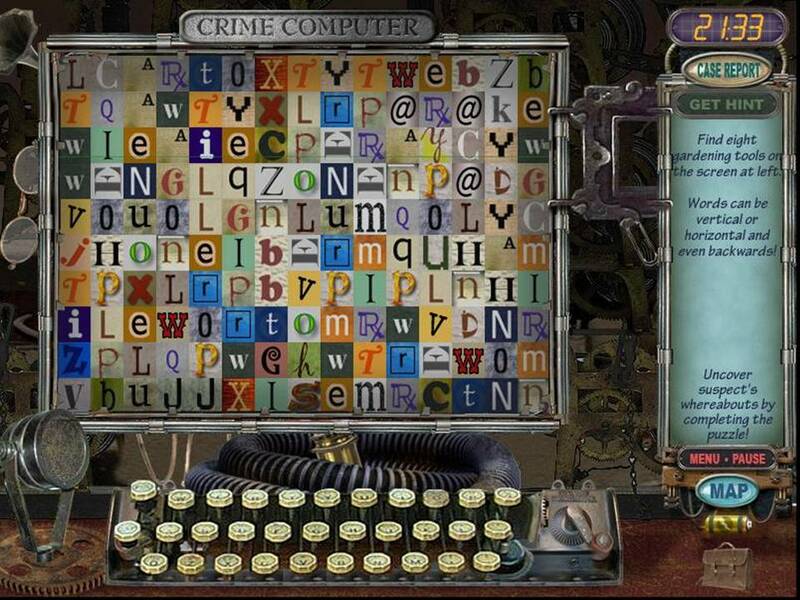 Mystery Case Files: Prime Suspects is a lot like that. 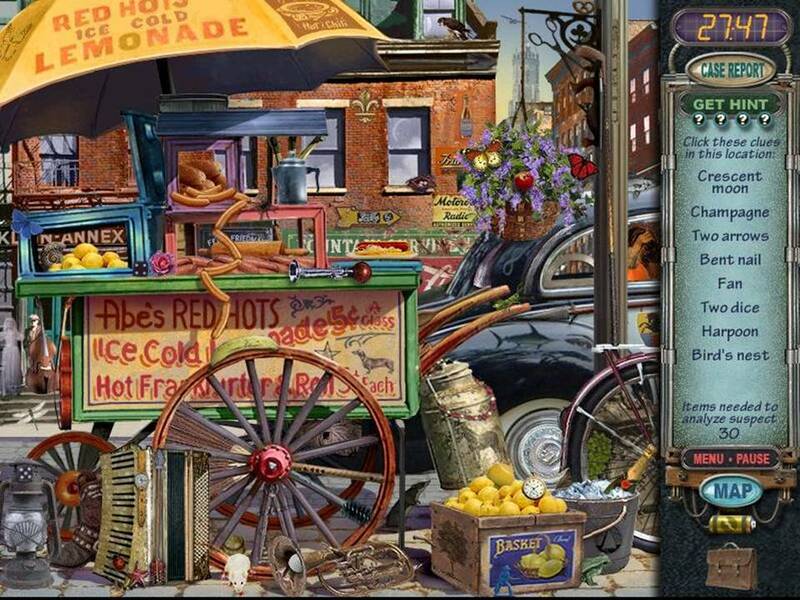 From level to level, you examine a suspect's case file and then search Hidden Object Areas for clues before "clearing" the suspect through a mini game. In this way, it's structured very much like MCF's inaugural game Huntsville. However, it's nice to see that the MCF folks stepped up their game (no pun) a little on this newer offering. It was nice, too, to see the MCF folks mix it up a bit when it comes to the level-ending mini-games. In Huntsville, every level ended with the same "jumbled squares" puzzle. 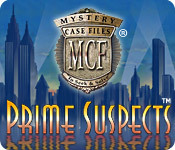 In Mystery Case Files: Prime Suspect, the jumbled squares make an appearance but so do other games like flip-type memory games and word searches. My one criticism would be with the way the suspects are structured. The game presents them to you in order. Clearly, the last person you investigate is the culprit. Otherwise, the game could end too soon. If left to your own devices, choosing suspects on your own, you might hit on the villain in your third round, right? 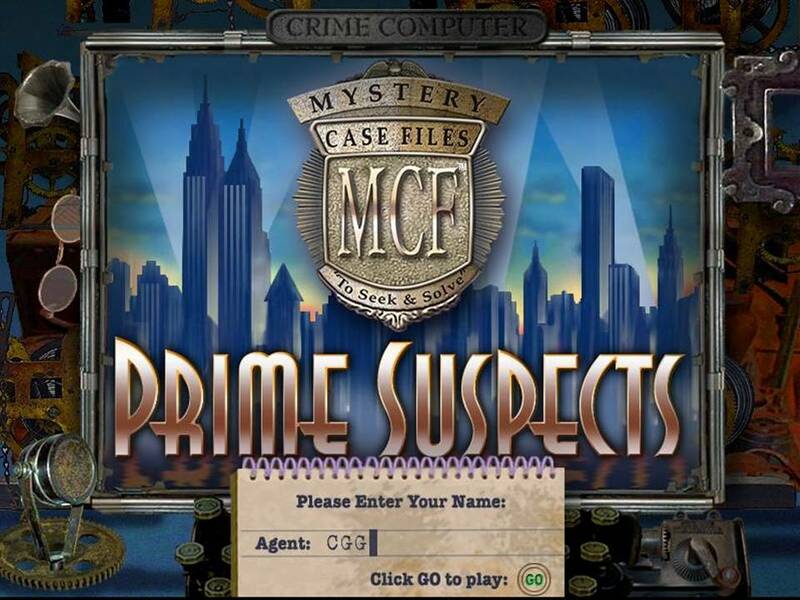 I understand why they did it this way, but there's very little "mystery" in Mystery Case Files Prime Suspects.